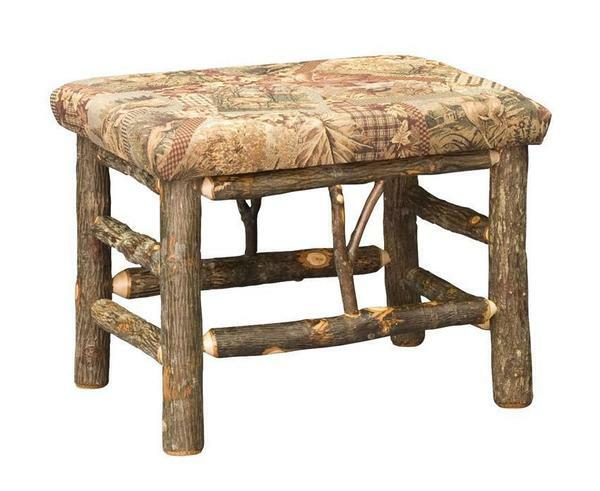 This rustic hickory wood backless bench is available with a fabric or leather seat. Please call to receive finish, fabric and leather samples for this bench to help you with your selections. This rustic hickory bench looks beautiful at the end of the bed or pull up to one of our rustic hickory wood dining tables.